Williams; Heary, McCarthy, Scully, John; Crawford, Byrne, Fenlon; R Baker, D Baker, Keddy. Subs: Doolin for Crawford, inj (67 mins), Foran for Keddy (83 mins). Kelly, Croly, Maguire, Doyle, Byrne; McGuinness, Osam, Griffin, Kelly; McCarthy, Foley. Subs: Harris for Osam (82 mins), Holt for Kelly (88 mins). Not far from the perfect night for Shelbourne. 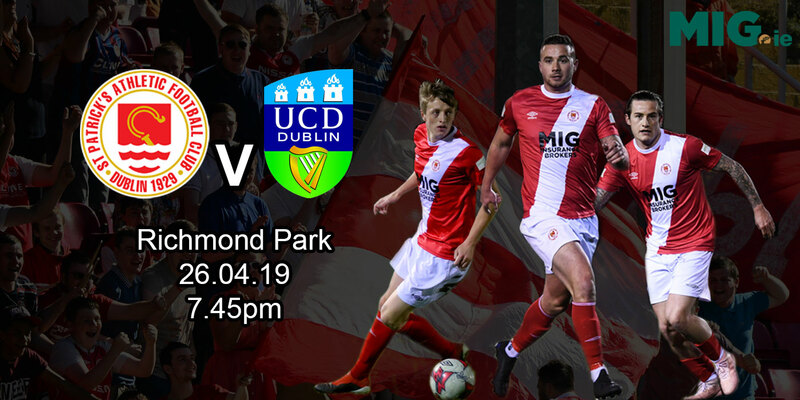 A crushing defeat of their old Dublin rivals, enough goal chances to keep their supporters in full voice, and three points that edged themselves into pole position, two points clear of Bohemians. 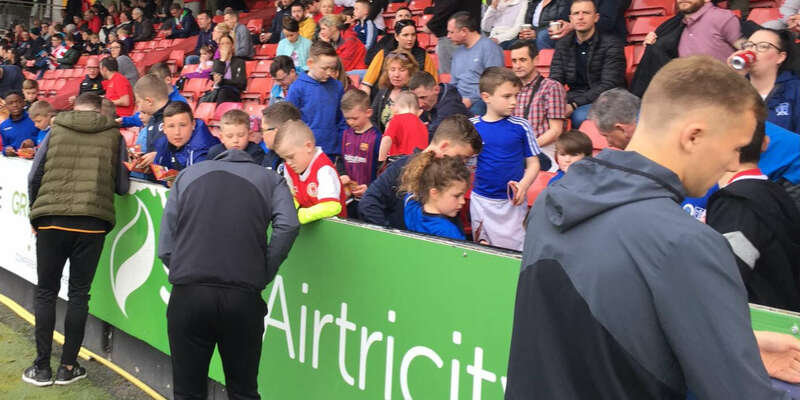 For the first time in eight years, St Patrick's Athletic arrived in Tolka Park to face league champions and for the opening 10 minutes at least they appeared capable of providing their usual challenge. But when they conceded the first of three goals after 12 minutes, it was more or less downhill from then on. Shelbourne were probably surprised themselves by the ease of their opener. Pat Fenlon miss-hit a shot just outside the box, Dessie Baker couldn't quite control when it fell to at feet, but Richie Baker fired his shot straight past Seamus Kelly. That seemed to have an immediate impact on St Patrick's - and all of it negative. The foot fell straight off the pedal and suddenly their attack went quiet. Shelbourne had two clear opportunities to press further ahead in the 10 minutes afterwards, and the most unforgivable miss was by Dessie Baker. Younger brother Richie provided the perfect cross, yet Dessie blew his chance to outsmart Kelly by firing over. Then, on 22 minutes, he made up for it. After a move that began inside their own penalty area, Dessie Baker swept majestically down the right wing and his ball was so well-placed for Pat Fenlon that shooting past Kelly was again a formality. Maintaining that sort of pressure wasn't too difficult as St Patrick's failed to regain any sort of pattern. They did, however, have chances to get back in touch, especially on the half hour when Colm Foley's shot came back off the post following a Paul Byrne free. Closer to the break, Robbie McGuinness seemed to have sneaked one past Steve Williams, but the goalkeeper got the slightest touch and the ball ended up in the sidenetting. Davy Byrne had the best of a succession of chances after the restart to push Shelbourne three clear, but he couldn't quite connect with Jim Crawford's cross. Instead, St Patrick's got the break they needed when James Keddy bundled down Ger McCarthy in the box and Robbie Griffin converted the resulting penalty. Yet they never capitalised on that. Both sides lost their cool somewhat and St Patrick's were reduced to 10 men after Griffin -already booked - took down Crawford on 63 minutes. 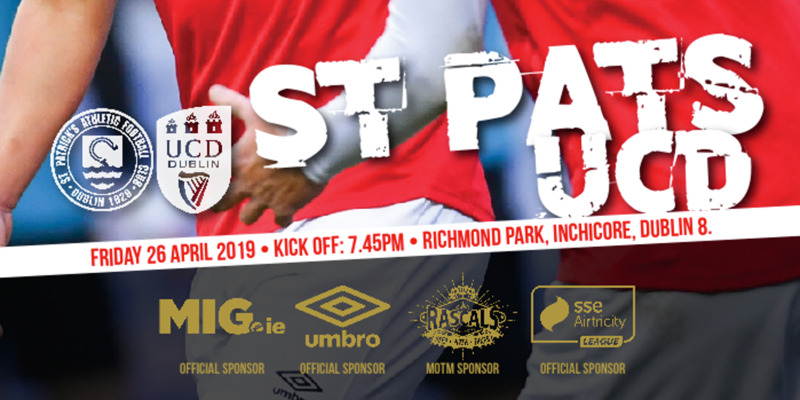 That signalled the end of any real challenge to Shelbourne's dominance and with Pat Dolan expelled to the stands, the wounds just got deeper when Dessie Baker finished off his brother's pass three minutes from time.